The concert had also been held the previous day, March 28, at Alice Tully Hall. 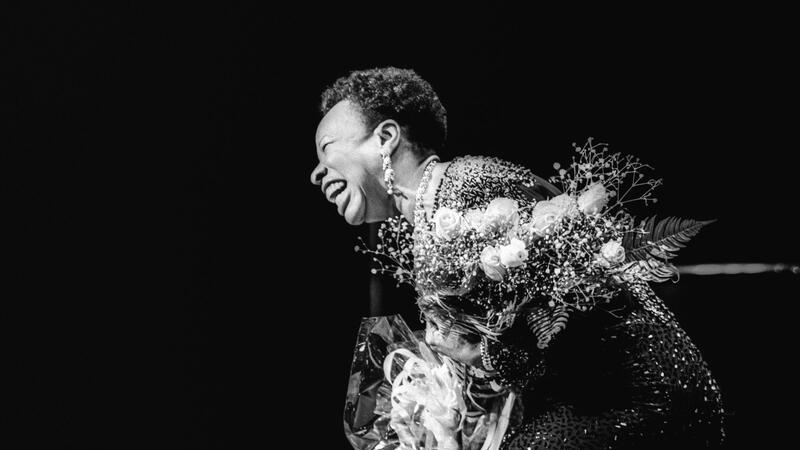 Reviewing that performance for The New York Times, Stephen Holden noted Carter's genuine affinity, rare among leading jazz singers, for the phrasing and intonation of an instrumentalist. "Nobody shapes a note the way she does," he wrote, "slowly turning it from a rich hornlike timbre into something bitingly twangy, then softening it again." Modern listeners will soon have a chance to hear the music from that evening. The Music Never Stops will be released as an album on Blue Engine Records, Jazz at Lincoln Center's affiliated label, on March 29 — 27 years to the day after the concert. Among its featured guests are pianists Geri Allen and John Hicks.